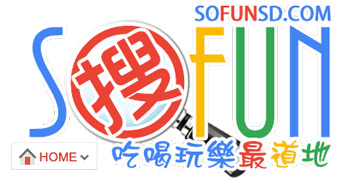 03.01.2019 2 year Anniversary Event Starts! 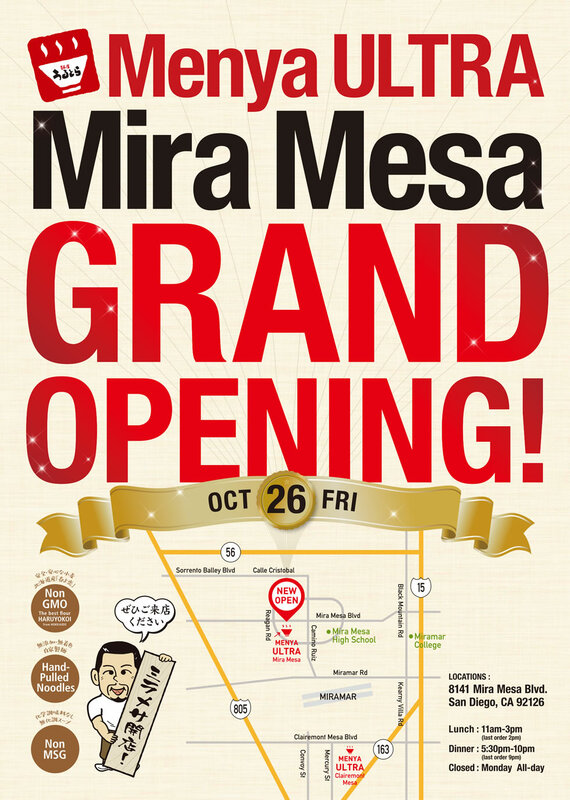 10.26.2018 Mira Mesa Grand Opening!!! 9.5.2018 Please Vote Menya Ultra for Best Ramen (City beat's best of 2018)! 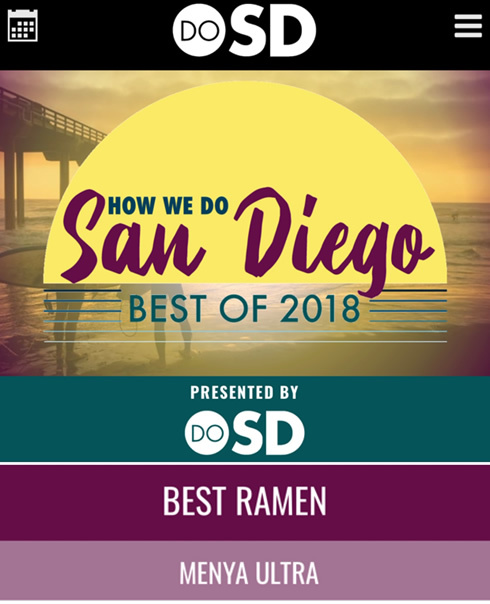 Menya Ultra is nominated for Best Ramen in San Diego !!! 9.1.2018 We are open 7day a week! 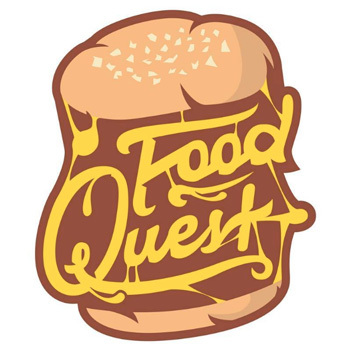 11-2pm 5:30-9pm everyday! 7.13.2018 We got the 1st prize of Best Ramen in San Diego !! 7.13.2018 Please Vote Menya Ultra for Best Ramen! 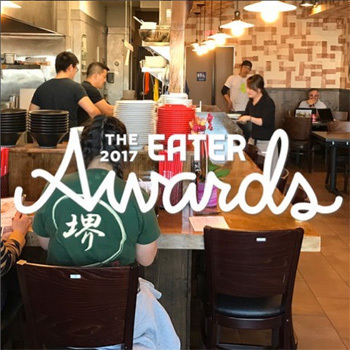 Menya Ultra is nominated for Best Ramen in San Diego !! 7.1.2018 We are open Sunday from 7/1! 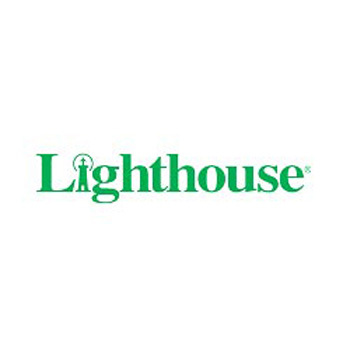 11-2pm, 5:30-9pm 6days/ a week! 5.24.2018 Summer Time Only! Cold Tantan Men is started! 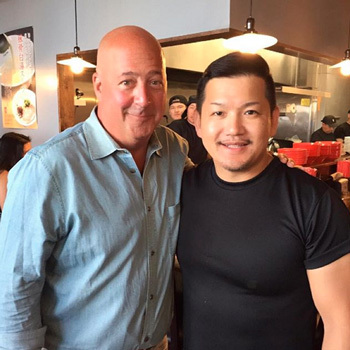 4.3.2018 The Zimmern List on Travel Channel has San Diego episode tonight 9/8c ! 4.3.2018 New Limited Edition Menu Mazemen is out! 3.27.2018 1year Anniversary Event Started! 1.26.2018 Limited time offer! Brased Chashu Miso Ramen started! 6.23.2017 Eater San Diego posted our Video making fresh noodle. 5.30.2017 Limited Edition Cold Noodles are out! Our new video is up on You Tube! 1 Fresh Noodles are made in our restaurant every day we don't add any preservatives because it is always fresh! 2 Non-GMO The best flour (Haruyo Koi) for the noodle we import the world number one quality flour exclusively from Japan. 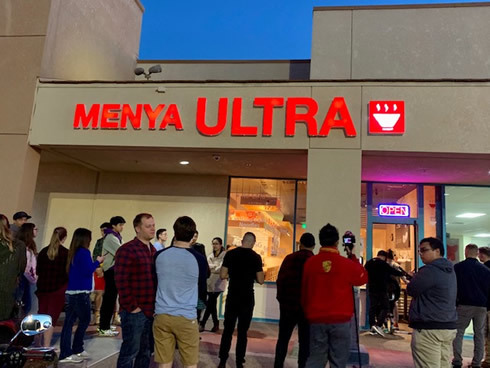 You can not eat it anywhere else but Menya Ultra. 3 No MSG added in our foods We cook all from scratch by ourselves our foods are delicious and safe too! Come and eat delicious ramen! 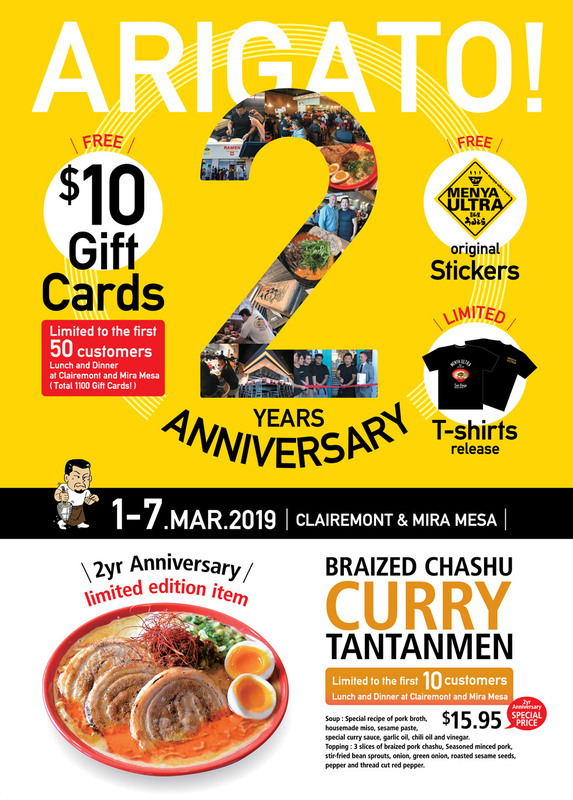 We are happy to announce Menya Ultra Clairemont 2nd Anniversary event! 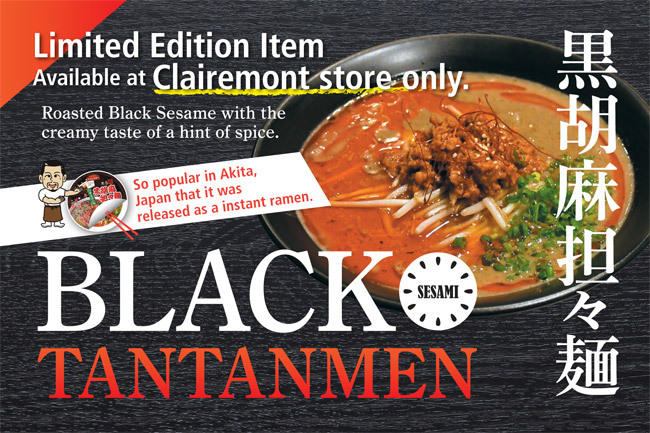 Black Tantan Men is so popular in Akita Japan, so that it was released as instant ramen Soup : Special recipe of pork broth, housemade miso, roasted black sesame paste, chili oil and vinegar. Topping : seasoned minced pork, bean sprouts, green onion, roasted sesame seeds, pepper and thread cut red pepper. We are very excited to announce that we are ready to open Menya Ultra Mira Mesa! 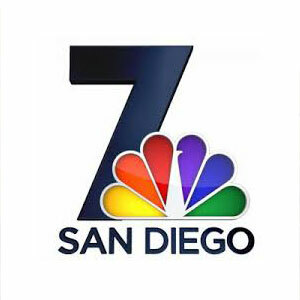 We appreciate everyone’s support in welcoming us to San Diego and in making us feel at home. Please join us for soft opening ceremony 10/22 at 10:45am. We are giving away limited edition stickers and more! Soft opening is 10/22 and 10/23 11-2pm 5:30-8pm. Grand Opening is 10/26 11-2pm 5:30-9pm. Thank you and we look forward to seeing you 10/22 10:45am at Mira Mesa! 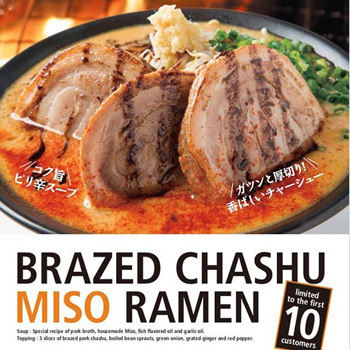 Negi Miso Ramen The best-selling menu in Akita Japan is now available in San Diego Menya Ultra! White parts of the green onion taste delicious with housemade miso pork broth ramen. Limited 20/a day. (10/lunch, and 10/dinner). Soup : Special recipe of pork broth, housemade Miso, fish flavored oil and garlic oil. Topping : 2 slices of pork chashu, green onion, wood ear mushroom, soy sauce, sesame oil, black pepper, and red pepper. * Limited TIme. Please note that it could be selling out without notice. 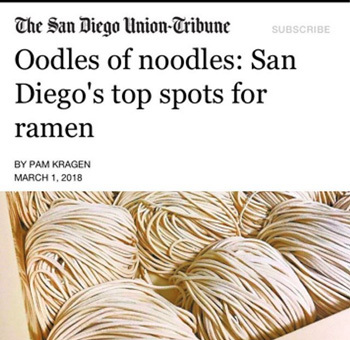 We won the Best Ramen in San Diego for the year 2018! 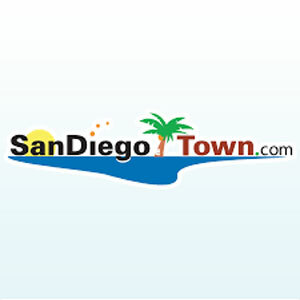 You don’t know what to do in San Diego this weekend? The Zimmern List explores the most innovative restos in Seattle, Vegas, L.A., San Diego and more. Cold Tantan Men Started! Summer time has come! Try our favorite Tantan Men with cold noodles. Our original noodles, they are made from Haru-Yo-Koi wheat flour, has springy and smooth texture you ever had. Served with seasoned minced pork, cucumber, tomato, onion, roasted sesame seeds, ginger, chili oil and red pepper. You can also order without meat as vegan cold Noodles, or you can order extra meat of "Paiko" to make your Cold Paiko Tantantan Men. *Summer Time Only. Please note that it could be selling out without notice. 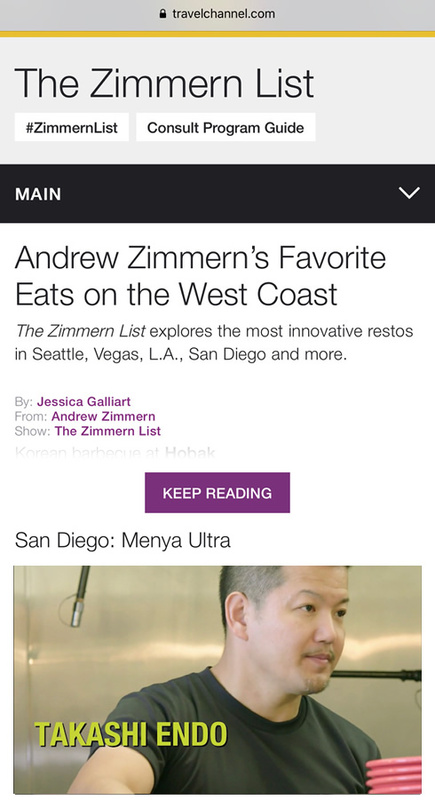 Eater Featured Menya Ultra as TOp 5 Ramen in the United States! 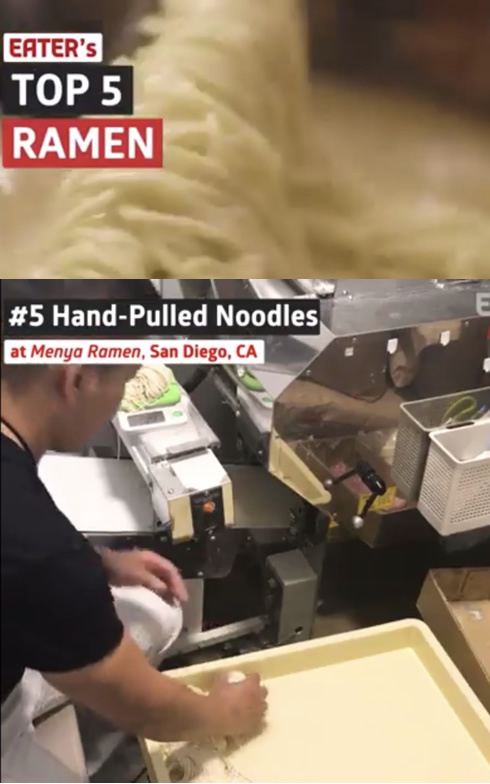 Featured as Top 5 Ramen in the nationwide! 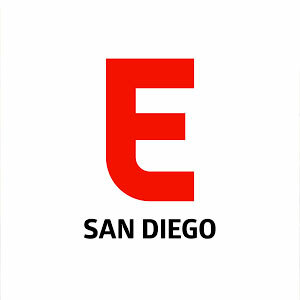 Thank you Eater, Eater San Diego and all the ramen lovers!!! Thank you for your continued support. 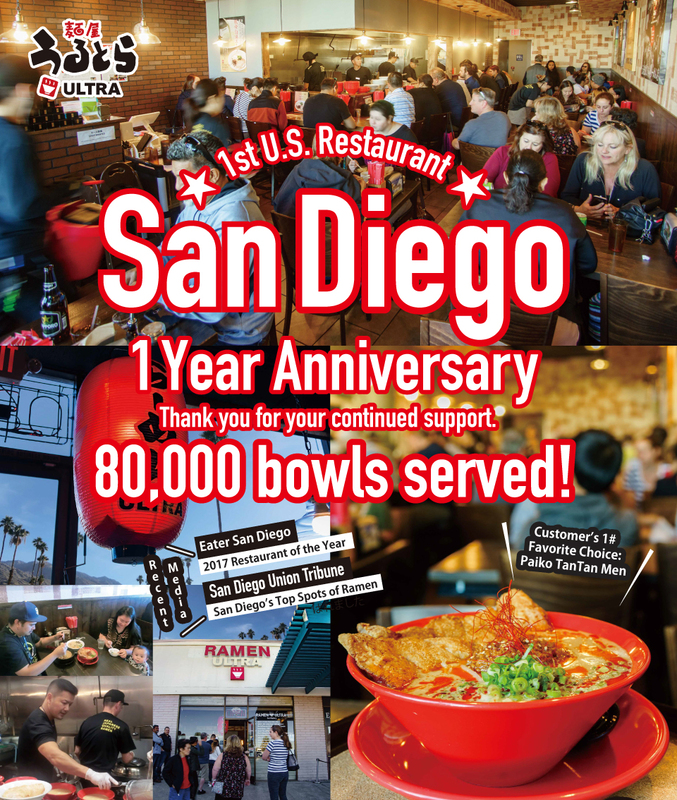 We sold more than 80,000 ramen in first year! We are not here without local ramen lovers! To celebrate the first year anniversary, we are giving away 20 stickers a day for couple weeks. 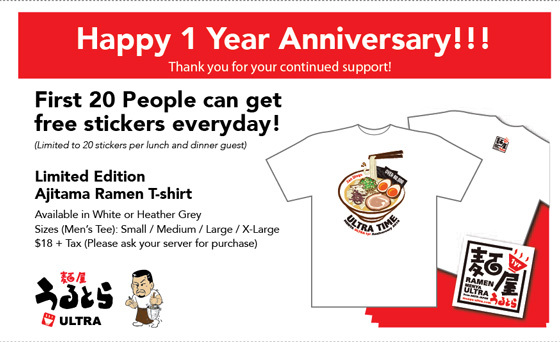 Original Ajitama T-shirts will be out at restaurant. Next week, we will make more exiting announcements. Stay Tune! Limited 10 bowls/a day, 5 for lunch, 5 for dinner. This limited edition of seared chashu is thick, juicy and tender. YOU MUST TRY THIS. It's so delicious! Topping : 3 slices of brazed pork chashu, boiled bean sprouts, green onion, grated ginger and red pepper. Also, our dinner hours will extend from this weekend! We will be open 11-2pm 5:30pm-9pm. Summer time has come! Try our favorite Tantan Men with cold noodles. Our original noodles, they are made from Haru-Yo-Koi wheat flour, has springy and smooth texture you ever had. Served with seasoned minced pork, cucumber, tomato, onion, roasted sesame seeds, ginger, chili oil and red pepper. You can also order without meat as Cold Vegetarian Ramen or you can add extra meat of "Paiko" to make your Cold Paiko Tantantan Men. © 2016-Present Menya Ultra All Rights Reserved.